This site exists to help you obtain a Apostille Birth, Death or Marriage certificate as quickly and as easily as possible. 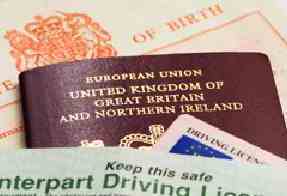 Already have a birth, marriage, death or decree certificate but need it legalising? Send us your certificate and we will arrange for the legalisation process by adding an Apostille stamp before returning it to you anywhere in the world. Apostilles are required where an overseas authority needs to validate the authenticity of a certificate as having been legally produced in the UK. The Apostille includes a raised seal from their office. The Apostille is also serial numbered which can be used to validate the Apostille's authenticity. When either the Standard or Express options are chosen, we arrange for your certificate to be legalised and it will then be returned to you.